December 2014 - Vegans Eat What? Vegans Eat What? 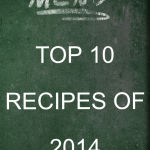 VegansEatWhat.com’s Top 10 Vegan Recipes of 2014!